Styled with lebna pant . 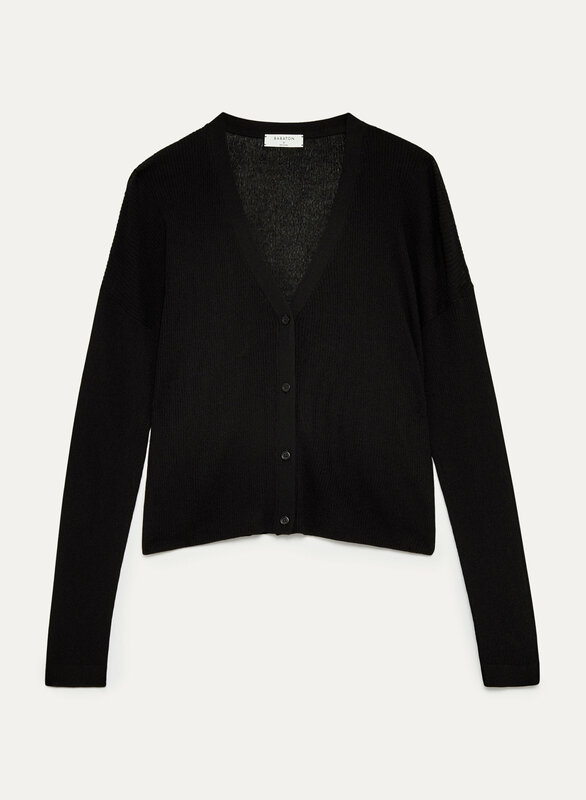 Knit with a special wool-free yarn from Italy, this cardigan has a wide rib knit that adds texture and drapes beautifully. The relaxed, slightly cropped fit makes for easy layering.